Many homeowners wait patiently for the day when they can finally choose a hardwood floor covering to have installed in their home. 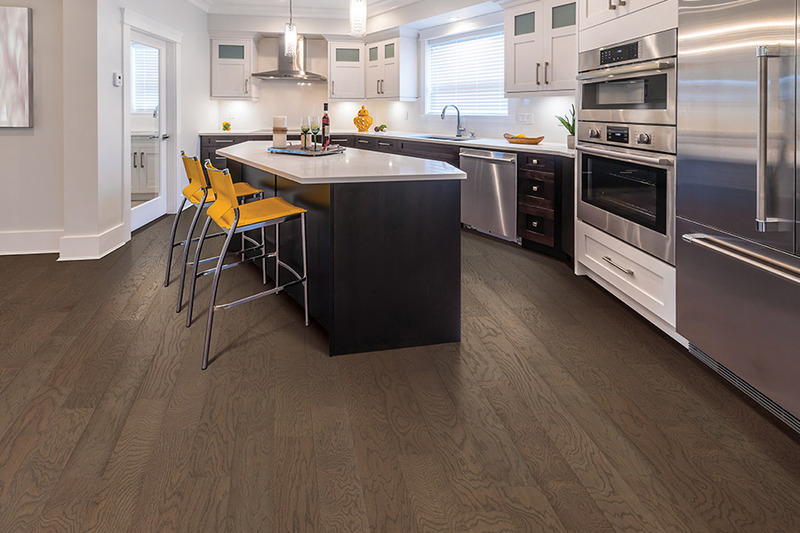 It’s one of the most appealing flooring materials for a wide variety of reasons, not the least of which is the impressive life span it brings to the table. With a bit more budget required up front, it’s important to note the amount of money you will actually save over time. It means you won’t be installing new flooring anytime soon. In fact, it could be the last flooring you ever have installed. Contract Carpet One knows flooring, and we’re proud to put our expertise to work for you. 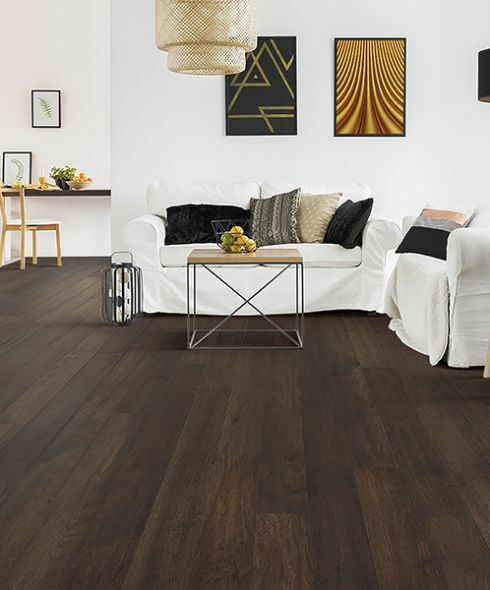 As a cooperative in the flooring industry, we offer the largest selection of flooring and the most affordable pricing, which means you’re sure to find exactly what you’re looking for, no matter what your needs. Our expert consultation staff is an essential component in bringing beauty to your home. Your hardwood floor will impress for generations, so making the right selection is key, as there are many factors to consider. We are trained experts when it comes to assisting you with this choice. Helping you find the perfect floor for your lifestyle and taste is our priority. Our showroom is located in Beltsville, MD, and from there we serve the areas of Silver Spring, Laurel, Rockville, Beltsville, and Washington, DC. We look forward to serving you as well. With the number of options available here at Contract Carpet One, deciding which wood floor is right for you can be a daunting task. Do you choose the red oak, with its warm and coarse grain, or maple wood, which offers a fine grain for a more elegant look? Here are some important factors to consider when installing hardwood in your home. Some trees have bold grain patterns, such as oak, and are ideal if you prefer an informal or country look. Others, such as maple and birch, offer a discreet, more refined grain, and are great for a more traditional setting. Darker tones can create a more traditional feel, while lighter tones complete the more casual room. A more creative approach could be to draw inspiration for your floor from a wall color, a piece of art, or a gorgeous countertop. 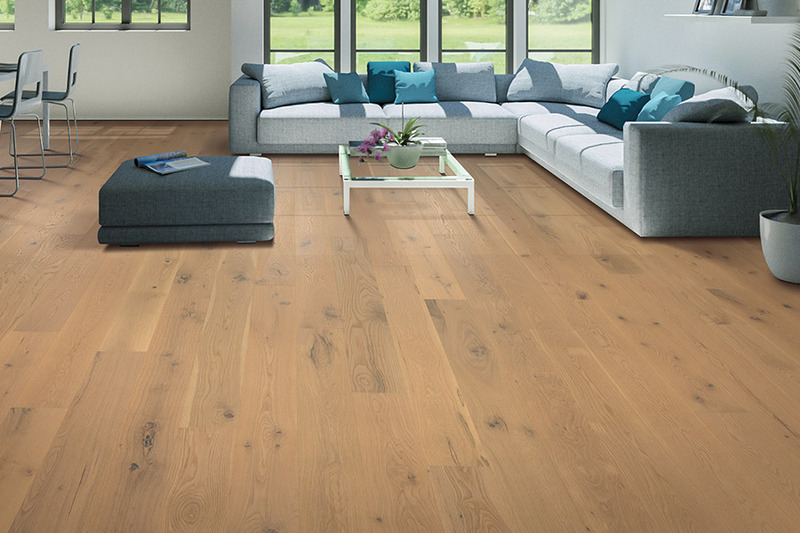 The gloss level of a wood floor refers to the finish and visual sheen of the product. It ranges from a sultry, smooth satin, to a brilliant high gloss. The edge style of your floor matters. 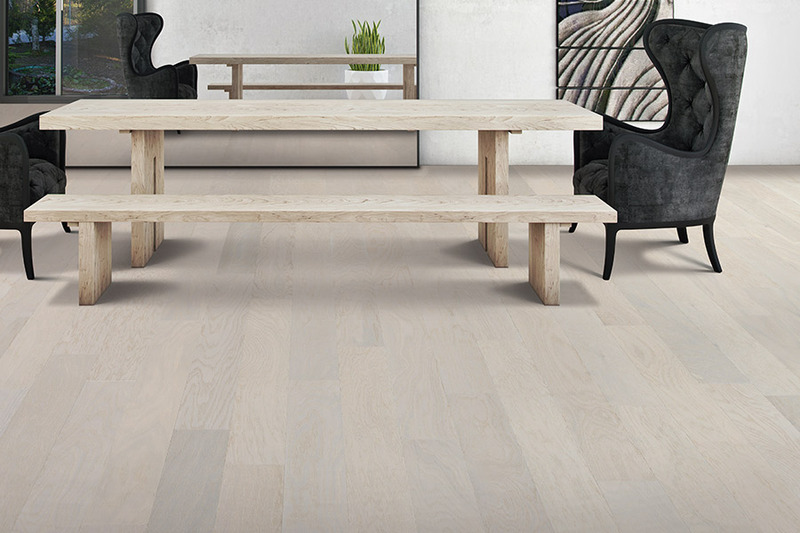 Boards with a square edge fit flush against one another for a smooth, elegant feel. Full bevel and micro bevel edges, however, create an angled effect if you’d like depth and dimension. 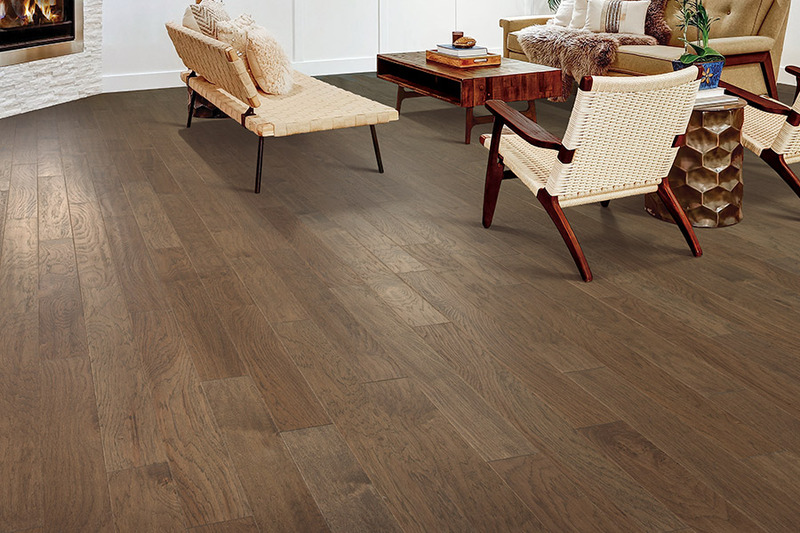 Hardwood comes in a variety of widths from 2 ¼” to 5”, or even wider. The widths convey a sophisticated or casual look, and can be selected to coordinate with any décor you choose for your room. All Contract Carpet One floors are created from quality materials, and are engineered to last. When making your selection, look for our Titanium and Platinum labeled floors, which are among strongest in the industry. These flooring options also carry our highest-level warranty. The addition of a trim can give your floor the perfect finish. Crafted from the finest grains of hardwood, our moldings are developed to coordinate perfectly with your new floor. 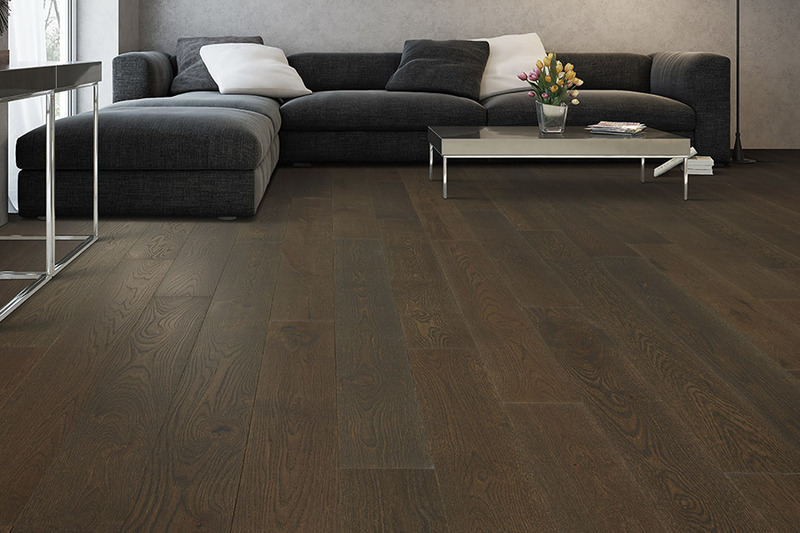 From the first time you step foot onto your new, exquisite hardwood, you hear the deep, echoing knock with every footstep and cherish your latest and greatest investment. Hardwood flooring does wonders for your home. Installing hardwood floors eliminates allergens, beautifies most any room, and best of all, improves its resale value. When you invest in new hardwood flooring from Contract Carpet One, not only are you investing in your home’s beauty, but you’re improving the value of one of your life’s greatest investments. Contract Carpet One’s handpicked team of Maryland flooring professionals can help you determine exactly which hardwood floors are right for you. No hidden costs, no unexpected surprises – just great hardwood flooring at honest prices from square one. When it comes to selection, nobody beats Contract Carpet One’s selection of quality hardwood options. Some of the hardwood flooring brands we carry are Armstrong, Bruce, & Biltmore Estates. Teak, oak, rosewood, and more hardwood flooring types are all available in a variety of states. Do you want to buy pre-finished hardwood flooring? Contract Carpet One has that, and is ready to serve your needs. Looking for the perfect staining? Nobody knows staining like Contract Carpet One does. Do you want unfinished hardwood flooring so that you can complete the staining and sealing? No worries, Contract Carpet One can help. When it comes to quality, you want a name that you can trust. This is why Contract Carpet One is a premiere flooring contractor who only stocks hardwood floors from reputable vendors. Unlike certain hardwood flooring companies that lock themselves into only one or two major vendors, Contract Carpet One has an incredibly wide selection of beautiful hardwood flooring types. Why? 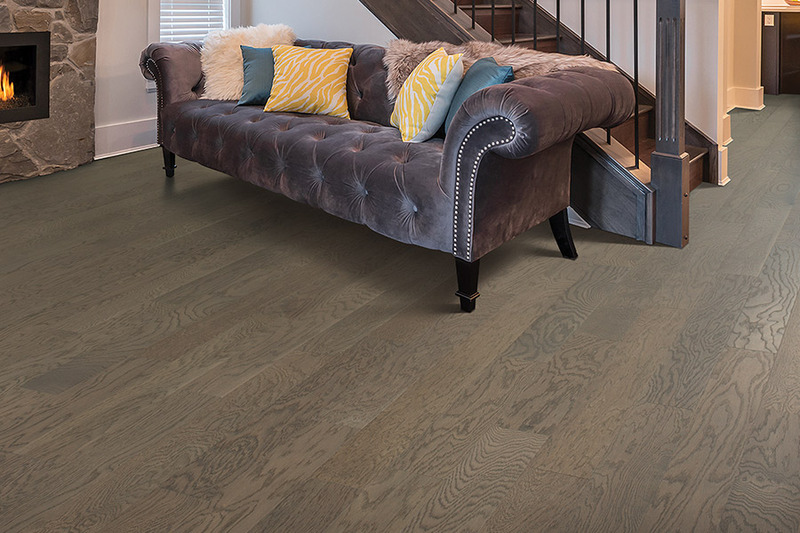 Because Contract Carpet One in Beltsville, Maryland knows that customers have a choice when it comes to shopping for anything, and hardwood floors should not be an exception to this rule. Handpicked staff means service with a smile. No more worrying about installers with poor manners or social graces, they could not even make it past the first round of Contract Carpet One’s arduous hiring process. Contract Carpet One knows that customers have a choice when it comes to finding hardwood flooring and installers. This means that Contract Carpet One does what it takes to earn your trust and business. Need help with the preparation? Contract Carpet One has professional flooring installers who can start the process as soon as you are ready. No waiting, no procrastinating, only quality work done right the first time. Value is a word often associated with hardwood flooring, and for good reason; hardwood flooring adds value to a property. At Contract Carpet One, we like to think that value is a culmination of quality products, services, and results. We assess your home for the best possible installation option, and deliver the same standard of excellence whether your floor is adhered using nails, glue, or staples. Contract Carpet One offers post-sales advice and even supplies and support to help keep your new hardwood flooring looking great for years to come. If you think you simply choose hardwood and are then done with the process, we have good news. There are actually many more options that allow you to create a truly unique flooring style for your home. The added benefits make it a fun and beneficial experience, even if it is a bit more daunting than some. You’ll first get to choose a species, with harder varieties offering the most stability, endurance, and resistance to constant foot traffic. After the species, you can choose the perfect stain color, ranging from clear to extremely dark. Finally, you’ll get to add the perfect finish to your floors, and this will also be determined by a variety of factors. While a glossy shine will always be in style, finishes such as distressed or hand scraped will go a long way in hiding many of the signs of everyday wear and tear. Everyone knows that the lifespan of hardwood flooring has always been impressive. The main reason for this is that solid wood can be refinished several times before needing to be replaced, with a few decades in between each. With the right maintenance and upkeep, these floors can easily last 100 years, with some historic homes boasting wood floors that are nearing the 200-year mark.